We buy, sell and trade marijuana domain names. If you have a cannabis domain name and want to sell it, or if you own a large portfolio of marijuana domains and you want to broker them out, please contact us. 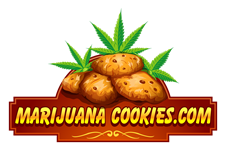 We have made many friends in the industry and trust is important when selling a marijuana domain. The 420 domain name market is on fire right now, it's a huge multi-billion dollar business that is experienced explosive growth. Please include your list of cannabis domains for sale or trade in your message below.